This is part of the 2013 OUTDATED LIST! For the most up to date TOP 50 things to do in Seoul, go here. Uh oh! There is an asterisk already on the first entry. When I first made this list, the Cheonggye Stream didn’t even crack my top 30. It is a nice little stream that runs along the top half of Seoul, but nothing extraordinary. So what made me change my mind? I remembered how the stream transforms during the lotus and lantern festivals. Twice a year (once in May, once in November), the Cheonggye Stream is decorated with huge lanterns in celebration of those festivals. There is also a parade of lanterns near the stream that passes in front of Jonggak Station (#16), but this way, you can see them at your own pace. If you visit Seoul during one of these festivals, make sure to pass by this stream at night time, and of course, don’t miss the parade! The Seoul Fortress Wall was the wall that originally surrounded the capital city of Seoul dating back to the formation of the Joseon Dynasty. It has been a part of Korean history since its completion in 1398, and as far as I can tell, the parts that remain are original (although with heavy restoration). A walk along the wall gives you a good sense of the historical part of Seoul and can lead to some pretty amazing views. The wall itself is very well preserved, and takes you through some parts of Seoul you wouldn’t otherwise think of visiting. I actually visited the wall today (April 7th, 2013) and the hike was as good as ever. After all the time I have been in Seoul, I finally went to this palace about two months ago. As with most palaces in Seoul, and everywhere in Korea, it is definitely special. The Deoksugung Palace was the last of the four great palaces of Seoul, the others being Gyeongbokgung Palace, Changdeokgung Palace, and Changgyeonggung Palace (in case you haven’t noticed, ‘gung’ means ‘palace’ in Korean). The last Joseon Dynasty kings (emperors) resided here, which is strange since it is by far the smallest of all the palaces. One interesting feature is a peculiar, western looking building that seems very out of place in the traditional looking palace. Since the palace was expanded towards the end of the 1800s, western influence resulted in that building being built inside of this palace. If you have not been ‘palaced-out’ in Seoul yet (after visiting the other three), swing by this smaller, low key palace. While not as grandiose, it is definitely less crowded, which is kind of a rarity anywhere in Seoul. 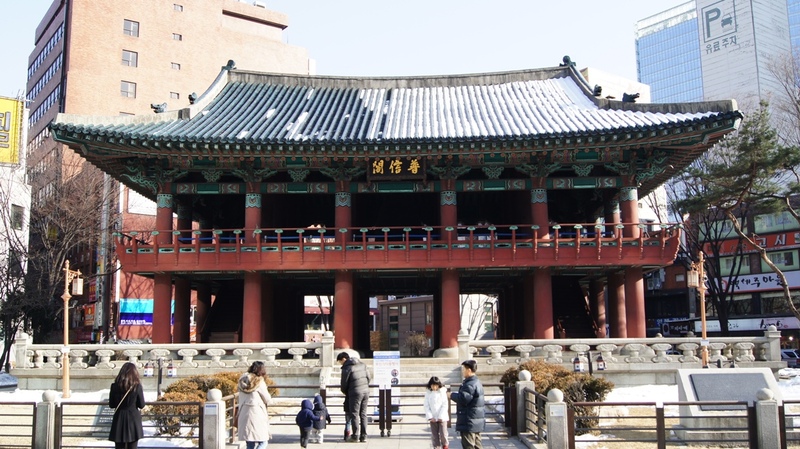 Don’t forget to pass by the hwangudan altar and city hall across from Deoksugung (#25 on the first part of this list). One of the things people love to do when they come to a big city, is find a high vantage point where they can see the whole city. Cities like Hong Kong have a bunch of these, some literally across from each other. While the 63 building (#24 on the list) does have an observation deck, N. Seoul Tower is the best place to see all of Seoul. 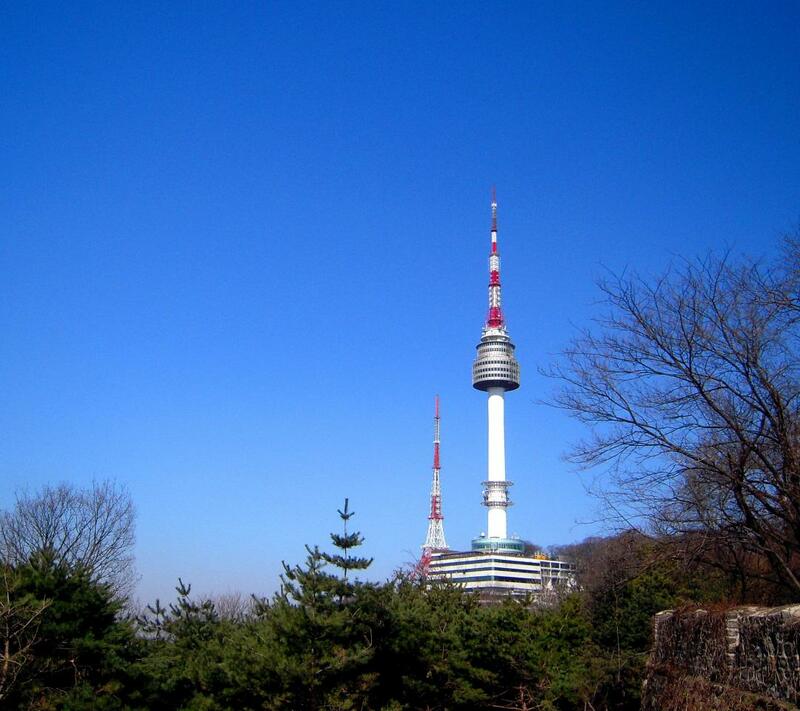 The tower is built on the top of Namsan Mountain (which is what the ‘N’ stands for, not ‘north’), in the top half of Seoul. To get to the entrance of the tower, you have to get to the top of the mountain first. For once, this is not easier said than done. Many guide books will tell you to take the cable cart to the top. This, in my opinion, is a terrible idea. The line for the cable car is usually over two hours. While the view is nice, the real view is from the top of the tower, so don’t waste two hours in line! The best way to get up there is to take one of the ‘Namsan’ buses (green color) off of ‘Chungmuro Station.’ They are much faster (maybe a 10 minute wait at the bus stop), much cheaper (1000 won), and the result is the same. The view from the top is really good, and it is one of those things in Seoul that open late, up to midnight on Friday and Saturday. Jonggak Station bell, seen in the winter. Jongno is also the district of the Bosingak Teo, which I’ve always called the “Jonggak Bell” because of its proximity to Jonggak subway station. This bell, in ancient times, was rung to signify the opening or closing of the city wall gates, as well as emergencies that arose. These days, it is only rung every new years eve by the mayor of Seoul, and other officials (sometimes including a top Buddhist monk). You can think of it like the crystal ball that drops on New Year’s Eve in Times Square, but with a lot more history. If you want to see the bell rung, come on New Years Eve, and join the million (not an exaggeration) Koreans. If you want to experience it in peace, come any other day, and it will be waiting for you quietly. This entry actually happens to be a UNESCO World Heritage Site that I have already evaluated, so why isn’t it higher on the list? Maybe you should read that article first but as a summary, the UNESCO inscription includes 18 sites, and the best one I have visited is outside of Seoul. However, a World Heritage Site is a World Heritage Site, lets not be too picky. The kings and queens of the Joseon Dynasty were all well taken care of, even after death. They are all kept in tombs all over Seoul and Gyeonggi Province (for the most part), and despite repeated Japanese invasions, are all original and in pristine condition. Even though there are 18 sites, besides the one in the link above, they have all proven to be very similar, so a visit to any one of them would be enlightening. However, while they are definitely worth a visit, if you are going outside of Seoul, you might want to hold off and visit those instead. I, like many of you, love a good deal. I hate to pay full price, and in the Dongdaemun Shopping Markets, you don’t have to. Dongdaemun is the first thing that comes to mind when people ask the question “where can I buy cheap…(anything).” Dongdaemun is a huge shopping district off of either “Dongdaemun Station” or “Dongdaemun History and Culture Park Station.” Here is where you come if you want to find some cheap clothes, cheap food, or if you just like the idea of browsing around in market places, without really buying anything. There is something alluring of marketplaces anywhere in the world. It is one of the oldest ways of commerce where that human touch interaction between salesman and customer is not lost, as often is in department stores. In Dongdaemun, you can bargain down prices for shoes, clothes, sporting goods, and more. In addition, some of the indoor sections of Dongdaemun are 24 hours a day, so after a night of clubbing in Hongdae (#11), you can swing by and buy something. It is also in the same area as the Dongdaemun gate (#12) and the Cheonggye Stream passes by here (#20). 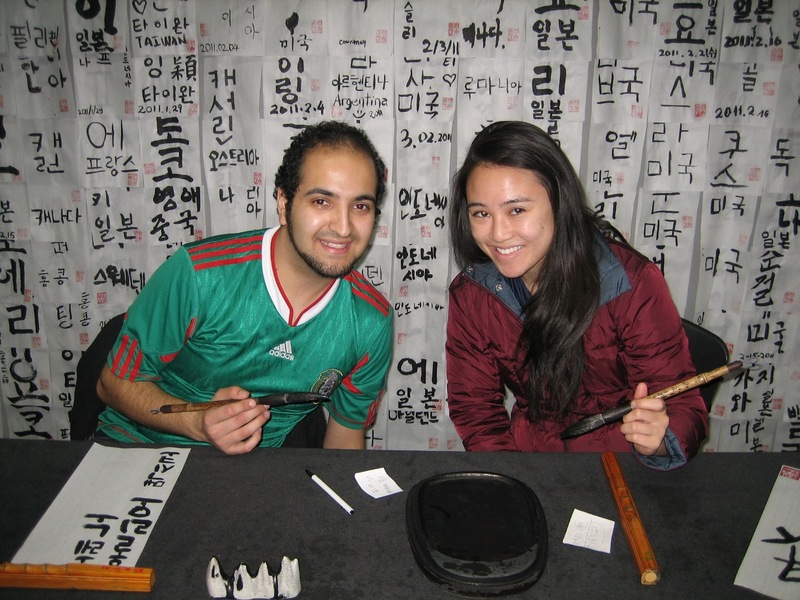 My friend and I practicing writing our names in Korean using traditional calligraphy brushes. I am constantly surprised at how many foreigners and locals alike, who have lived here for years, don’t even know this place exists. If you have been here a long time, it is like finding the best restaurant ever on your own block. King Sejong the Great and Admiral Yi Sun-Shin are the two, indisputably greatest heroes in Korean history. So, where are their museums? Shouldn’t they be in the center of the city for all to see. It turns out, they are! The museums are located underground, directly beneath their famous statues on “Sejong-no.” This area, which is on my top 10, is always filled with people, but their museums are never crowded. I think it is mostly because no one knows where the entrance is! To get inside, there is a very seemingly unimportant door behind the golden statue of King Sejong. It leads to an underground museum that tells you everything you ever wanted to know about the Korean heroes. There is also a replica of the famed turtle ship, a free 4D movie about Admiral Yi’s famous battle against the Japanese, and you can be taught to write your name in Korean with special calligraphy brushes, all for free! In addition, foreigners are allowed to write their name twice so they can leave one there, and take one home. The Big Eastern Gate (‘dong’ means east, ‘dae’ means big, ‘mun’ means ‘gate’…you’re already learning Korean!) is the largest remaining gateway to the previously walled city of Seoul. It is one of the three remaining ‘great gates’ of Seoul, and by far the most impressive and accessible after arson severely damaged ‘Namdaemun’ and security is tight around ‘Bukdaemun.’ The Dongdaemun gate is simply majestic to view from a distance, or to climb to the top. It is open to the public, and is located at the center of the Dongdaemun Shopping Markets (#14). It is made mostly of stone, with a wooden pagoda at the top. For more than 600 years, it has left visitors in awe, and I predict you will be no different. 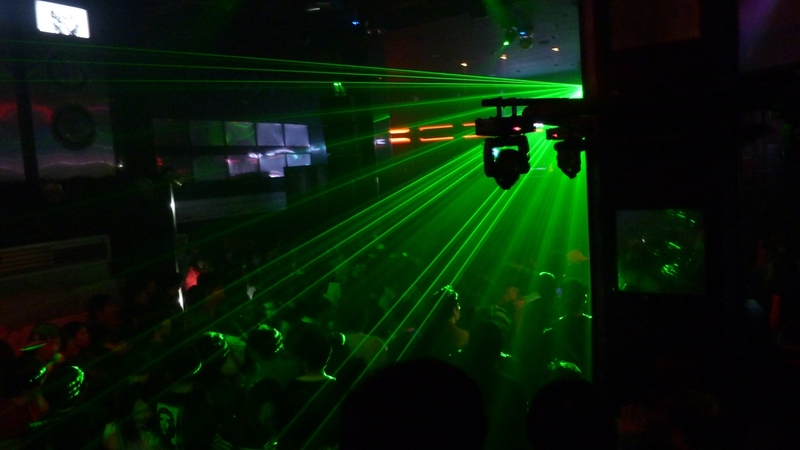 I am sure at least some of the readers were thinking, “does Seoul have any nightlife at all?” It sure does, and Hongdae is by far the best place to experience that scene. The area surrounding Honggik University (shortened to ‘Hongdae’) is full of bars, dance clubs, restaurants, street food, outdoor performances, and pretty much anything else you associate with ‘night life.’ While Gangnam has always had the fame of being the top nightlife spot, and a recent popular song (which shall remain nameless) has boosted that area’s appeal, Hongdae is, in my opinion, a better overall spot strictly for nightlife (don’t worry, Gangnam is on the top 10 for different reasons). If you feel the need to shake it until 10 in the morning (also, not an exaggeration, some clubs close that late), head over to Hongdae for a night of fun. Note: If you do come as visitor, bring your passport. Due to constant scuffles and bad rep, people who are living in Korea and are US military are not allowed in many of the clubs here. Your passport serves as proof that you are here as a tourist and not a soldier. For other non-military expats, your Korean ID is proof enough. With so many awesome spots, which have made the top 10? Also, do you know any places in Seoul that should be on my list? Put them on the comments! I did quite a few of these, but even a full year in the country wasn’t enough to get through them all! I think you had to work on the weekdays right? That would only leave weekends, and there is just so much to do! These aren’t even the top ten (in my opinion). Which ones did you miss (of #11-30)? Why have you kept pages 1/3 (#30-21) and 2/3 (#20-11), but not 3/3 ($10-1) of these Top 30 Things? Your are re-directing me to Top 80. I’ll be for 1 week in Seoul. 30 is already much, 80 is not feasible. I was searching for the top 10 list (page 3/3 of 30) with various search tools for 45 minutes, without success. Please, give the link to the original post.